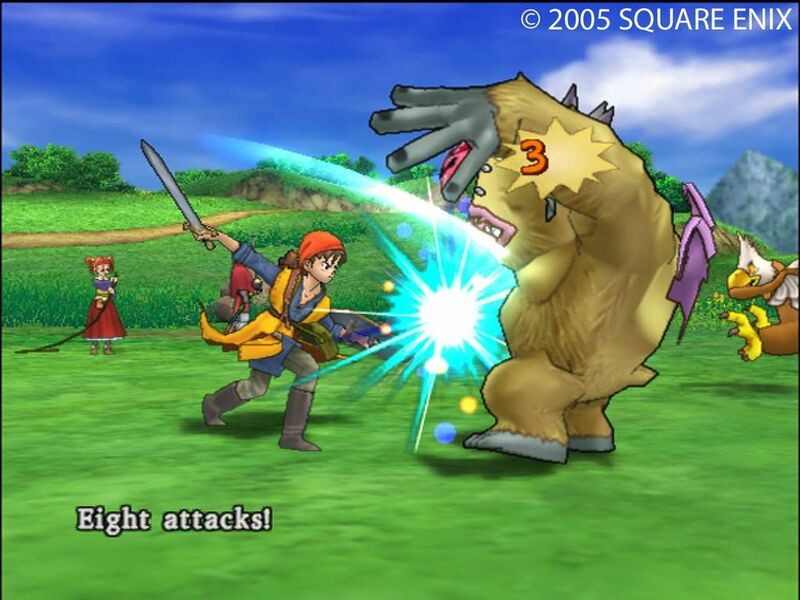 Dragon Quest VIII was the game that took one of the most beloved JRPG franchises out there, and brought it worldwide. 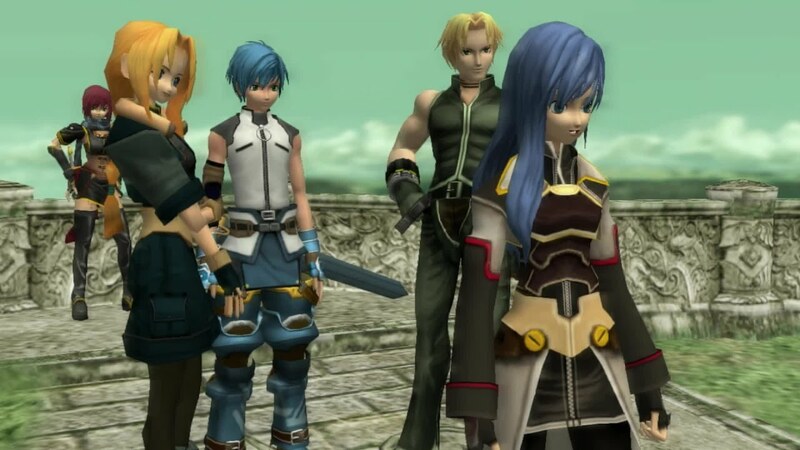 Sure there were a couple of releases in the series here and there before it, but nothing that was promoted heavily enough, and received well enough, to catch the mainstream JRPG community's attention. And Dragon Quest VIII was certainly that game; indeed, it might be the best Dragon Quest of all. A massive adventure filled with colourful characters and a sublime soundtrack. It was the kind of game you'd wish would never finish, even dozens and dozens of hours in. From this game on out Dragon Quest was able to take its rightful place as a major JRPG franchise in the west, too. Before we even started playing Star Ocean 3, the promise of this one, when opening the box, was incredible. A PlayStation 2 game so big it needed two DVD discs? Yes please. We weren't disappointed when we started playing, either. This game completely redefined the kind of scale that could be squished into a single JRPG, with a space hopping story involving multiple planets and a winding plot with untold challenges along the way. It helped that the game had one of the better action combat systems that we've seen in a JRPG, before and since, too. 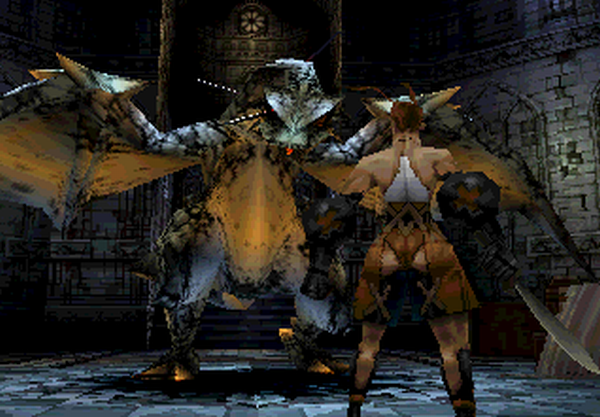 Coming right at the end of the PlayStation's life, Vagrant Story never really had the chance to spin into a franchise, and is something of a lost favourite within the Square Enix catalogue. 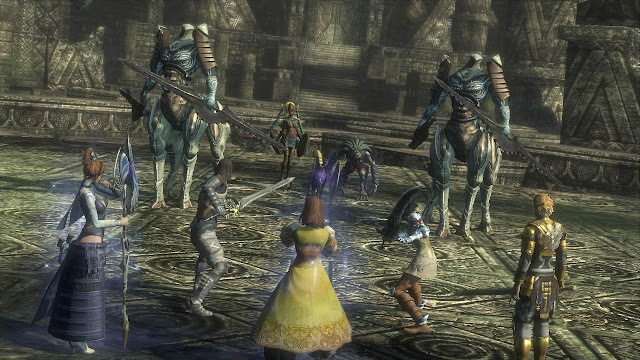 But it was a resounding success on launch, and with good reason; spearheaded by the same person responsible for Final Fantasy Tactics (Yasumi Matsuno), this darker-toned game has an incredible, deep, story, as well as gameplay that merges in a few other genres (puzzle and platforming), to create something distinctive and always interesting. It's also notable for being one of the finest examples of localisation, with the translator taking great liberties with the Japanese script to increase the density and thematic depth of the story for the English audience, while also perfectly capturing the spirit and intent of the original narrative and characters. Once upon a time Microsoft cared about the Japanese market enough to actually invest in it. Lost Odyssey was built by several Final Fantasy legends, through a newly created team, paid for with Microsoft dollars in order to get a classical JRPG that would help to sell the Xbox 360 in Japan. This game is a masterpiece on every level. The story is emotive (helped by having one of Japan's greatest short story writers actually pen new short stories within the game). It's also beautiful in terms of art direction and musical score, and has a wonderful turn based combat system that straddles the line between classical and modern perfectly. Rarely is a single game worth buying a console for, but if you like JRPGs, you owe it to yourself to play Lost Odyssey. 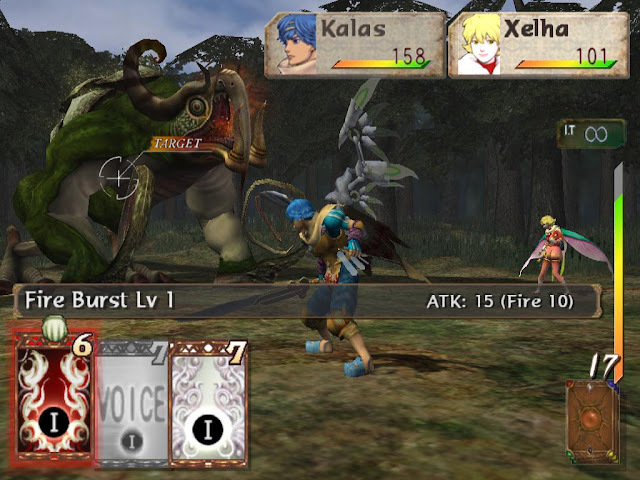 One of the most original JRPGs to ever have been released on a Nintendo console, Baten Kaitos was a strange - but wonderful - mix of traditional JRPG mechanics, and a card-based combat system that was deep, complex, and very rewarding. This game was also developed by Monolith, and it was published by Nintendo in Australia and New Zealand - the start of the relationship that would lead to Monolith being acquired by Nintendo and hitting a gold mine with Xenoblade Chronicles some years later. Baten Kaitos gave us an early look at the sheer commitment to quality at every level of game development that would lead to that franchise, too. Disgaea is the alternative tactics JRPG. Where most people think of Final Fantasy when they think of a classic tactics JRPG, those that like their games different - and a little bit mad - will instantly think of Nippon Ichi's marquee franchise instead. 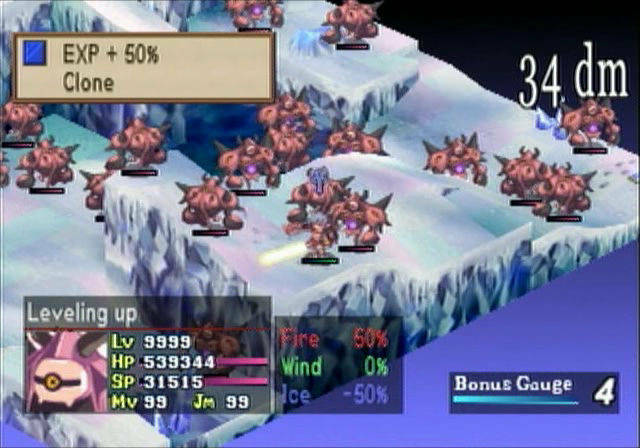 Disgaea's depth is legendary (most JRPGs cap at level 99... that's barely a start for a Disgaea character). Equally, its sense of humour is sharp and sarcastic, its level design is challenging and out there, and the art is an equal mix of the surreal and the outright weird. 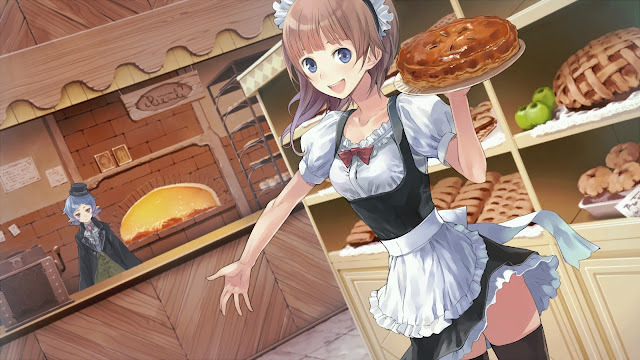 There have been a lot of Atelier games released over the years, and most of them are equivalent in quality. But we've included Atelier Rorona onto this list for the simple reason that it was the first game in the series to really start to push GUST's work into the mainstream of JRPGs. Previously they were quirky and different enough to sit on the fringe, even for genre fans - and this is moreso true in places like Australia when the earlier games were released in such limited quantities (if at all), that you'd have to be really lucky to even know they existed. But Rorona was a push forward in presentation and refinement, and was given enough of a push that the series started to reach more and more JRPG fans. So, if you're only going to play one Atelier game, then make it the one that, for many, was the start of the series. This is a game that is as popular as it is divisive. Lots of people have a bone to pick with World of Warcraft, and even at its peak popularity, the downtime between expansions and the Blizzard team’s willingness to experiment with core mechanics and skills like mad scientists drove as many people away as the series attracted. 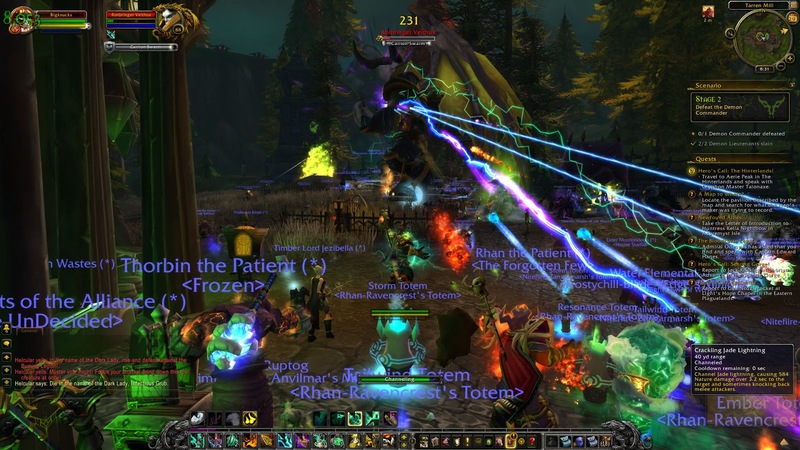 However, when someone says “MMO,” WoW is usually the first association that many people make. It’s an example of a game that has stood the test of time. Ever since its inception, it created a colourful and ridiculously deep universe for players to explore and to affect. The storytelling and the lore that has arisen as a result of WoW and its in-game events are now vast bodies of work, and the game has certainly made its mark on pop culture. It takes all the usual fantasy tropes - a war between good and evil, moral ambiguity, magical races - and has completely run away with creating a setting that players want to immerse themselves in. You can fight huge bosses with friends, or you can test your mettle against others. Every step and action brings you closer to uncovering more of the game’s lore and story, and fun seasonal events keep things fresh when you’ve think you’ve seen it all. WoW was a game-changer for the MMO scene and it’ll never be forgotten. Perhaps the most controversial Final Fantasy to date, Final Fantasy XIII has its share of detractors. But we think it deserves respect, and that's for a number of reasons. It really pushed the series forwards in terms of the fundamental thinking behind the game, for a start. You might need a philosophy degree to really unpack everything in Final Fantasy XIII, and it's something of a flaw in the game that it doesn't make its ideas more accessible to players, but it is a very smart game, nonetheless. Throw in a great bunch of diverse characters (Vanille is waifu 4 life), and a dynamic, strategic, and interesting combat system, and polarising as Final Fantasy XIII is, if you're one of those that are on board with it, you're in for a massive, visually stunning, and rich adventure.